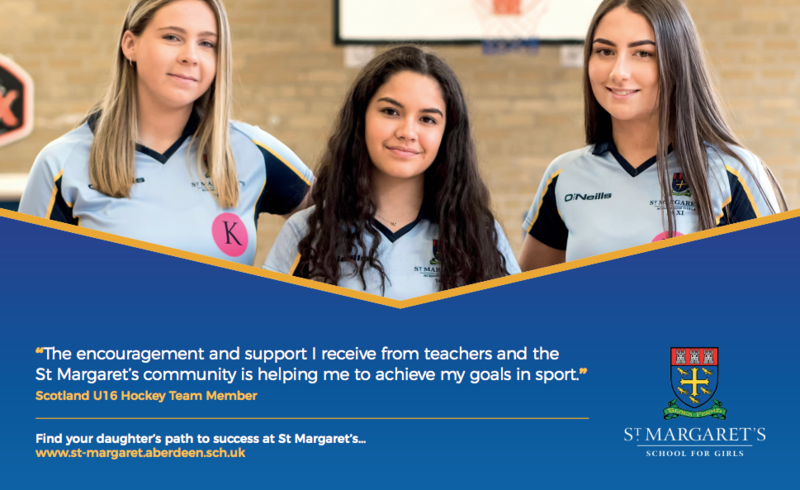 St Margaret’s junior school is part of our wider school community and as such has excellent links with both the nursery school and the senior school. Many of our 1 Junior girls have been pupils in our nursery and so are very familiar with the school. This makes for a smooth transition from one stage of the school to another. All of our new junior pupils are invited to spend time with us during the summer term. Our junior pupils are welcomed at an induction afternoon in June, and in August they quickly settle into the St Margaret’s family where older girls are often on hand to help them. Friendships are quickly established and it is not long before everyone knows everyone else. Please read here to find out about A typical day in the Junior School. The junior school places great emphasis on cross-curricular learning, developing team-working skills and making use of the safe, enclosed outdoor space available within our school grounds. In line with Curriculum for Excellence we ensure the girls gain both knowledge and understanding of their learning. We have a number of specialist teachers to deliver music, drama, PE, French, food technology and art and design to our girls. We are fortunate that our older girls receive lessons from our senior school colleagues and so are very familiar with a number of senior school teachers even before they enter senior school. This also helps ensure a smooth transition into I Senior. Education is more than the learning in the classrooms, and we have a wide range of extra-curricular clubs on offer to the girls. We have also extended and developed our residential experiences for the girls in 5 to 7 Junior to include a field studies trip in Perthshire for 5 Junior, a physical challenge trip to Dalguise, Perthshire for 6 Junior and a cultural trip to Lancashire where our 7 Junior girls visit Sizergh Castle, White Scar caves and the Lake District, enjoying trips on a steam train, and crossing Lake Windermere to visit the Beatrix Potter experience. At other stages our girls enjoy a wide range of day trips within Aberdeen, Aberdeenshire and further afield – all linked to their curricular learning. These have included train trips, museum and theatre trips, visits to castles and stately homes and trips to the beach and woods. We consider the education of our girls to be a three-way process with girls, teachers and parents all playing a part in it. Girls are routinely encouraged to evaluate their learning and, as well as issuing an annual written report, we welcome parents into school for parents’ evenings, information evenings, ‘Well done Wednesdays’ - when parents can come into the classrooms to see the girls’ learning and learn more about it from their daughter - and ‘Find out Fridays’ - when parents attend workshops, led by junior staff, designed to explain in more depth the teaching approach we use for various aspects of the curriculum. Recently we have also consulted parents over changes in the junior school reporting system, so that all views are considered and we can work as a team to establish the best educational experience for the girls. In St Margaret’s junior school, we aim through our curricular and extracurricular activities to develop all aspects of our girls’ personalities and ensure that when they leave us for the senior school, they are hardworking, kind, caring, confident individuals who are aware of their strengths and talents and also have a good understanding of the world around them. This will stand them in good stead as they embrace the opportunities which St Margaret’s senior school has to offer. What makes 1 Junior at St Margaret’s so special? Can you be too well-behaved?